Made in Laguna De Cameros in the Rioja region of Spain these fun tins are circa 1940's. We brought these nearly 10 years ago and sold around 30 as lamps - we have just discovered this final pair in our warehouse! All wired up with brass fittings and black braided flex and PAT tested. 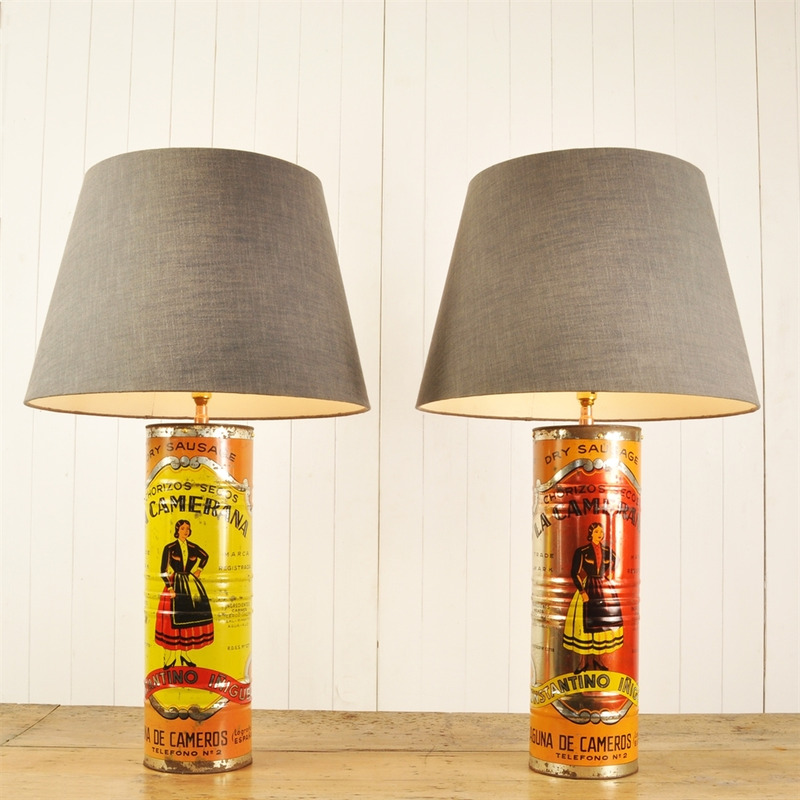 The lamps are weighted inside so that they do not topple over. The shade we have used are 50 cm across the base x 33 h.
Lamps measure 55 cm h x 16 cm across.